The heat, humidity, chlorine and salt water can take a toll on your hair in the summertime. Keep your locks looking lovely with these summer hairstyles, hair products and hair care tips. Dare to go short this summer. The pixie cut is a cool, chic style that is a favorite among celebs like Michelle Williams. A simple side braid pulls your hair off your face without looking overdone. Leave it loose and casual. The messy ponytail is the go-to look for many of us. Right now, the messy look is in, so you can even wear a messy pony like Eva Mendes when you go out at night. The fishtail braid looks more difficult to create than it really is. 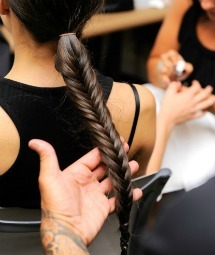 Check out the instructions on how to create a fishtail braid at LovingYou. Wear your hair long and loose for the ultimate beachy look. Just blow-dry your wavy hair with your head upside down, scrunching your hair as you dry it. Flip your head up dramatically for extra volume. If your hair frizzes out in the heat and humidity, Frederic Fekkai Marine Summer Hair Zero-Humidity Frizz Control is a must. Serums aren't the only way to stop the humidity from frizzing your hair. 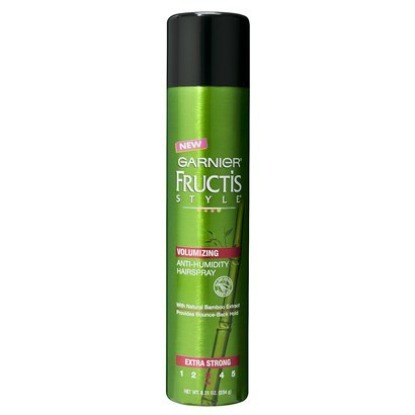 Try Garnier Fructis Sleek & Shine Anti-Humidity Hair Spray. 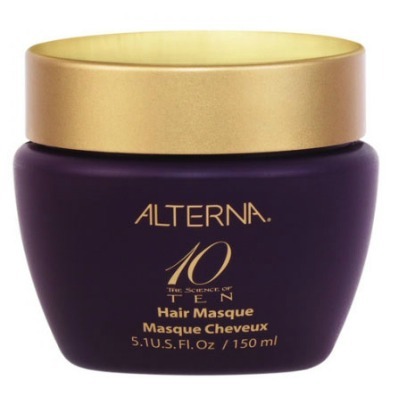 Splurge a little on Alterna Ten Hair Masque to keep your hair soft and silky.